I’ve avoided writing this piece long enough. Number one reason is that politically I’m a conservative, and the last thing I want to do is to appear as though I’m playing the race card. Which I’m not, though it might look like it. Doing so’s a cheap and underhanded thing to do. So I don’t. Second reason: what I’m tossing out there can be dangerous to my career as a writer, I’ve been told, because of who I’m aiming it at: the very folks who buy my books, or won’t due to my brazenness: librarians and fellow educators, my bread and butter. (I trust in the educator, though, enough to know that if we are about anything we are about growth through honest self-reflection; it’s my hope that this piece will serve as a catalyst for such). Third reason: during my own reflection over the last couple of years, mulling over whether I should or shouldn’t put this observation to paper, one of the cons was that maybe it’s just sour grapes I’m dishing. Ultimately, it’s not. Not even just a little. My sincere desire is to talk from the heart, to share this heavy load I’ve been carrying, and to reciprocate. I’ll do my part to take on the equally heavy burden librarians and educators have been carrying for far too long. To, arm in arm, move in a direction upward when we’re talking about race, in particular race in children’s and YA publishing, a hot topic to be sure. Let me tell you a story: I’m attending a librarians’ convention. I’ve been asked to sit on a panel or two, and at this point in my story I’ve met those obligations. Like happens at these functions, as a writer with a new book under my belt (best I can remember it’s A Good Long Way published by Piñata Books, an imprint of Arte Público Press), I’m also committed to sit for an hour at a table to sign copies of my latest. This is a very awkward thing for me to do. I really don’t like this part of my job. I mean, really, who am I? I’m not a top-tier author, and so I realize I won’t get the throngs of fans begging for my signature. (I found this out while sitting at another table, this one in D.C. at the National Book Festival in 2005, and I happened to be sitting next to Mary Pope Osborne, whose line was unimaginably long; I had to ask my wife, who was pushing our son in a stroller, and my sister-in-law to act as my line). Talk about eating humble pie. I get it. 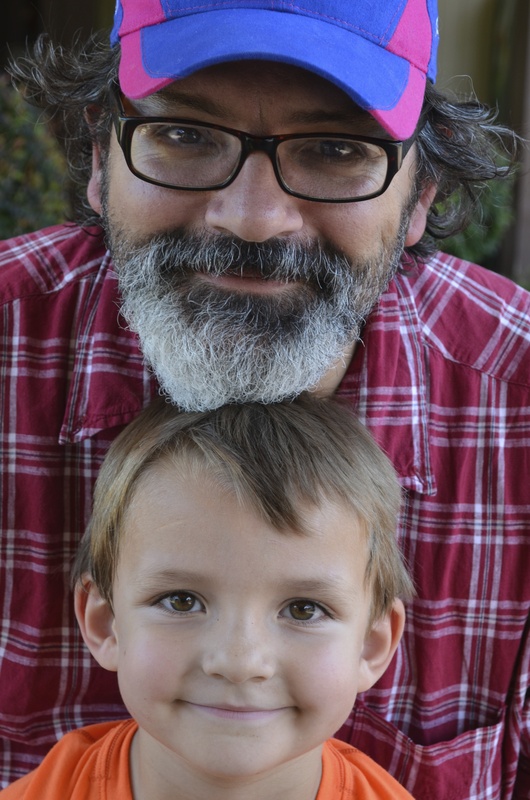 If a couple of teachers or librarians line up for my signature I count myself the most fortunate writer in the world. This time is no different from other times. I’m resolved to sit my time out, and if I get that librarian or two, I’ll make it a point to let them know how lucky I am to meet them. I truly feel that way. My love for libraries and librarians goes back a long, long way. Back to when I was checking out the Hardy Boys, Nancy Drew, and Little House on the Prairie during my elementary school years, and later books on UFOs, lost treasures, and the book that kept me in the reading act, Piri Thomas’s Stories from El Barrio during middle school, and throughout high school and college, to this day even, visiting our public library with my children. Along with my parents and a small handful of teachers, I owe librarians the bulk of my reading life. This is why, in the end, I feel I need to write this essay: I owe librarians dearly. So, back to the story: I’m sitting there with Arte Público’s representative, and I do get the one or two curious librarians who ask about my work. I could tell them that I’ve published three other books with Random House, that I’ve published several short stories in several anthologies edited by Gallo, Springer, and Scieszka, but I don’t. The only book that matters to me is the one I just published. It’s my favorite book. Not my favorite because it is my most recent. It’s really and truly my favorite of all the titles I’ve published to date. I love A Good Long Way for so many reasons, but that’s the stuff for another essay. These librarians are kind and buy a copy for their collections, are already thinking of which students will benefit from this book most (and it’s not just Latino kids they’re telling me about). From the time I sat, I’ve taken notice of the author two tables down from me. I actually just presented with her. Undeniably a rock star in the field. The kind of author for whom I’d stand in line to get her autograph. I know her personally, too. She’s a genuinely awesome person. I’ve used her work in my graduate adolescent lit classes. My students love her. I understand why these librarians are in line to get her signature and for a chance at a word or two, maybe a picture if time allows. What I don’t get, though, is that not a one of these librarians in this other author’s line chances to look up in my direction, not that I can tell from my time at the table, anyhow. Not a one notices that just two tables down is another writer, one of color, a conversation that has been pushed to the fore recently? The Myers’ father and son team each wrote brilliant editorials for the New York Times (in the middle of me writing and rewriting this piece, wouldn’t you know it? The world of children’s and YA writing is shaken to the foundation at the news of Walter Dean Myers’ death and among his last acts was to force us to have this difficult conversation, so thanks to him). Others like Monica Olivera have added to that conversation in a blogpost on NBC Latino, The folks over at Lee & Low have ably challenged us to consider the state of children’s and YA publishing regarding race. Lee & Low on Twitter, especially, has rocked that boat. But it was a discussion we were having back then, too. Albeit mostly amongst ourselves, we writers and publishers and teachers and librarians of color. So it’s been brewing a long enough time. So, what I’ve heard librarians say over the last decade and a half on my visits is that there are so many Latino children, and how unfortunate that there are so few Latino authors publishing books for them. “Just look at how excited these kids get,” they tell me, “to find one of their own publishing books.” It’s true, they do get excited to meet writers of color; I’ve seen it with my own eyes, heard it with my own ears. As a side note: I’ve also seen kids jump for joy at meeting white authors. Can you tell I’m purposely going off on rabbit trails? I’m avoiding getting to the point again. But whatever. There’s an urgency. We need to get beyond this hurdle. We need to courageously speak about race. Confront it head on. We’re told this also by U.S. Attorney General Eric Holder in one of his early speeches at the outset of his work for the Obama administration. We must face our shortcomings if we are to get to that place Dr. King dared us to dream about alongside him. Anyway, these librarians have told me that there is so little of this material, and what there is of it is so hard to find. NO! this material is not hard to find. Simply look up and two tables down from where you’re standing, there I am. At that point in my career I’ve got some six books to my name. There. I. Am. And if you think I’m an idiot, especially now that I’m telling you this, then do this other thing and you’ll know I’m right: walk up and down those aisles that usually are nowhere near the major publishers, the ones relegated to the edges of the main floor. They’re the small, independent presses. The outliers, in so many ways. You’ll know them because they’re the ones who don’t give out ARCs or free copies of books. Not because they don’t want to but because it’s not in their budgets to do so. Take 20 minutes per stall, look through their catalogues, their titles. For goodness’ sakes, talk to the reps, who are usually the publishers and editors themselves (when it’s not both of them, it’s either Bobby or Lee Byrd of Cinco Puntos Press manning their booth), and these reps will explain clearly what they have for you and your readers. They’re eager, as eager as you and I, to help all children reach their reading potential. Next, buy from them directly. Come ready with cash, checks, or cards. They’ll take any method of payment. I’m not saying that the Bigs don’t publish authors of color. They obviously do. Random House has me and several other Latinos on their list. So has Dial. Scholastic. Little, Brown. S&S. Etc. They publish Black writers, and Asian writers. The difference is, though, that the smaller presses focus all their attention on writers of color, so they are experts at it. Arte Público Press/Piñata Books is one. Another is Cinco Puntos Press out of El Paso (of Sammy and Juliana in Hollywood fame but before that a picture book titled The Story of Colors by Subcomandante Marcos with magnificent illustrations by Domitila Domínguez, a book I’ve yet to find shelved in the libraries I’ve visited, even in deep South Texas where the majority of the population is Latino, Mexican American, and Mexican to be exact). Lee & Low, that sometime ago acquired Children’s Book Press and that recently started Shen Books, a new imprint that “focuses on introducing young readers to the cultures of Asia,” is yet another. The list of them, admittedly short—nevertheless, these few presses publish nothing but books by and about people of color. For all readers, but in particular readers of color. And when you think you’ve found them all, look again. Because we’re still writing the books, publishers big and small are still publishing them. All we need is for you to look and look and look again until you can’t look no more, which likely means you’ve retired and you’re no longer pushing books into kids hands formally. But a librarian is a librarian is a librarian. You’ll be giving books to kids any chance you get ’til the day you die. This is why I know I can write a piece like this, harsh as it might seem: because you’re educators first and foremost. And you’ll forgive me my bluntness. But we are not the focal point of this conversation, our children are. So we are either proactive and talk and then do, or we stand in the way of the progress necessary. Let’s be the former. Yes. A big yes. The idea of working the fringes of the convention hall is key. Too often we (librarians, educators, stakeholders in literacy) promote one or two “big” Latin@ titles when what would serve our kids better would be to put those popular (and already well promoted) books in the company of equally awesome but less well known titles. Great librarians know the mainstream midlist books, but they often only know the “top” Latin@ titles. Let’s fight inertia together, friends. I like that, Ashley: let’s fight inertia together. After all, we are all out for the same thing: children’s literacy. Love this post. When I worked in the community, sitting at a table discussing issues pertaining to the community, and being the only Latino represented, I often felt as if I were invited to meet some sort of quota. Unfortunately, this is a mindset melded into our social systems. Reaching out to diverse cultures has to be deliberate, not as an afterthought. Which is why I love this Latino contest Latinos In Kid Lit is running. Awesome! E.: you speak the same truth at Holder: he says the discussion at first might cover the superficial, but eventually it’ll get over that hump and get to the genuine, the true, the difficult, the hard-pill-to-swallow. And then we make strides. And it’ll be just as hard later, but we will have moved the discussion to a place of action. With all due respect, Rene, there’s nothing wrong with playing the race card in order to change the system quicker. In Sweden they have laws that companies must have at least 40% female board members and laws and rules about affirmative action (positive discrimination) were introduced in the United States. Fight to have your genre of books be more available for many readers and once many will discover that Latino books, for example, are good no fight to promote them will be needed. There is no harm in pushing for rules for affirmative action in book buying by libraries. Best wishes with all your books, from an author about the journey of a Mexican teenager. Giora: as a conservative and as a Latino, I see a greater harm to the cause when a person can’t disagree with another on principle without being called a racist. Granted, there is racism today, and it’s just as ugly as it has ever been, but we dilute the power of true affirmative action when it is our go-to reaction. That said, when we do see a need to call someone out, we must. In my case, I’m not sure calling it racism is the right call to make, though race/ethnicity plays a role in it. I just think we educators, myself included (myself especially sometimes), get comfortable in our position (which is a variation on institutional racism, too). Here, I wonder if it has more to do with a call to look at ourselves (and our decisions by default) in the proverbial mirror. I agree that it’s the responsibility of the librarian/educator attending these conferences to make sure they seek out smaller presses, because there is often such great materials found there, but sometimes there is no way to come prepared to make purchases. I don’t have access to a library credit card or checking account even though I have a large(ish) book budget to spend. All my purchases go through library vendors like Ingram and Baker & Taylor. So my recommendation for people like me at these library conferences is to visit the smaller presses first and then stop by your vendor rep at their larger booth and make sure that they know that you want to be able to buy books from these publishers. Fantastic idea, Kacy. Money or not, we get up lists of what’s out there that is representative of our readers and order later. Appreciate the read. At least as far as Lee & Low is concerned, you can buy our books from B&T and all the other major vendors. But this is a good point, if they don’t carry those books. Thank you for starting such a brave conversation! We will help you get the word out too. Am Tweeting, Google + and Pinteresting it. Bravo! Thanks, PragMom. The issue of children’s illiteracy (cultural especially) needs all the attention it can get. Reblogged this on Cucarachita Martina. Really digging this article. 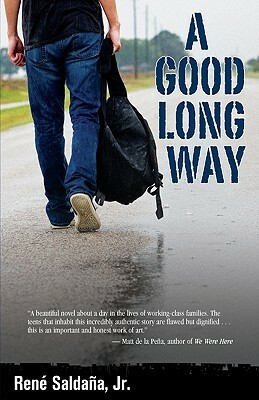 I recently ordered several copies of A Good, Long Way for classrooms at my middle school (I read it during a Children’s Lit course at the University of Texas-Pan American). While the literature is out there, it’s not going to do anything unless it’s talked about. Book reviews, marketing, and social media contribute to the conversation, even if you have to talk about race. From a conservative point of view, I can see why it may be iffy to play the race card when there is no need to. However, you are justified in talking about it over here, because it’s just a matter of fact rather than an argument. You’re doing great. High fives all around. I love this piece, Rene! I was there, too, at one of the places where you were signing A Good Long Way, which happens to be one of my favorites as well. And thank you for making the point about Arte Público, Cinco Puntos, Shen’s Books, Lee & Low (and let me add Just Us Books) because if we’re serious about supporting diversity, we need to support publishers who are close to their communities and in it for the long haul. This is an important point, and one that many forget. Just a clarification, Shen’s Books is a new imprint of Lee & Low, but was formerly an independent press. And Tu Books, my imprint, publishes fantasy, science fiction, mystery, and historical fiction for middle grade and YA. It’s important to remember that the better a small press’s books do, the more that small press can publish to serve its mission–in our case, publishing diverse books. Small presses don’t have deep pockets, and tend to avoid big, flashy promotions–which admittedly can make the books harder to find if you aren’t looking for them. Which is why blogs like this (Latinos in Kid Lit) and Diversity in YA and #WeNeedDiverseBooks are so important–bringing greater publicity to books that don’t get as much attention. Booksellers can make a difference, too–look at what indie booksellers did for Varian Johnson’s The Great Green Heist. This is something that needs to be repeated for more and more books, not just as a one-off. My favorite thing to do at conventions like ALA and NCTE is browse the independent publisher booths. There are so many wonderful books being published by the indies, books that you will not see coming from the huge, corporate-owned publishers, and I want a make a point of knowing them so I can review them, blog about them, talk about them, and recommend them for purchase. At the last ALA convention, I stopped by the Arte Publico booth. I thought I had read many of their books over their years but I was shocked to see what a huge backlist they have. I knew only a small fraction of what was available. You are so right, René! “The books are there. I’ve enjoyed following the many thoughtful responses to this post, and I wanted to report back on what it has meant for me and my plans for teaching next semester. René, you inspired me to refashion a syllabus that had a couple of “old faves” in the graphic novels unit to incorporate less-well-known titles like _The Silence of Our Friends_ (Civil Rights in Houston) and Gilbert Hernandez’s _Julio’s Day_. Thanks for starting this important conversation about visibility, engagement, and putting our money (and our students’ money, in the case of those of us who teach college classes!) where our mouths are. Ashley: loved loved loved The Silence of Our Friends, which is kind of an appropriate title for this conversation. Have yet to read Julio’s Day, but will soon on your suggestion. For the record, I’m just discovering both–in part thanks to this conversation and to the Ireland Cartoon Library here at OSU. But it’s what I think of as a key part of my job: to broaden my own horizons as I try to broaden my students’. Ashley, I hope people add your marvelous _What Can’t Wait_ to their YA syllabi and recommendations as well! This is a great post. I have felt the same way, worrying about how I might be shooting myself in the foot when I call out people who aren’t following through on their “commitments” to diversity and yet will also need them on my side if and when I become an author myself. But it’s important – and true! So thanks for writing this. I have been exactly where you are. Every time I hear people say where are the books by authors of color, I want to scream. maybe that would get their attention. Earlier this year I was at a conference with librarians and students. The kids had no trouble coming to my table and looking at my books. Adults–absolutely zero interest. Seriously, I know they could not miss me because every other author in the room was white. They also had lines of librarians and parents waiting to get close to them. I’m heading off to two more conferences this month where I will speak (about diversity no less) and then sign. Maybe things will be different. I agree and stand with you. I have so many questions regarding the reality of this issue in publishing it really is something I struggle with. I’m always saying how can we have a bazillion whites at the table and only three people of color at every literary venue, ALWAYS. It just does not make mathematical sense. Basically, to find the answers may mean subjecting myself to what I already know to be truth. People of color, and I’m going to say it plain and simple those who have experienced systemic racism throughout their existence in America, are not chosen because of writing ability, craft, marketable data or any other excuse that is constantly thrown around. But simply because the majority is not interested in us unless we can help them win in someway. Fame, fortune, notoriety. Simply placing an entertaining, or thought provoking, or reflective book into the hands of a child is not enough. And I don’t believe its a conscience decision. Its a privileged one. It truly is not a priority or even thought for those in power, ‘white’ to really provide the same opportunity in becoming published as their white authors. Yes its nice when we get noticed because we’re prolific and epic in scale such as a Walter Dean Myers or Jacqueline Woodson, but to be an average joe, you can forget it. Its exhausting, but I’ve decided to just keep writing, perfecting, submitting and then let them celebrate when its iconic, because of the foresight to have it published.But how sad that the industry that saved my life as a child, represents this to me as an adult.